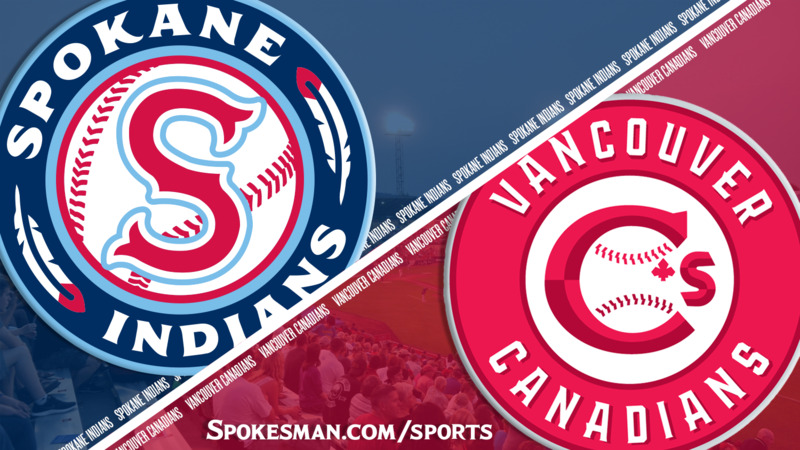 VANCOUVER, British Columbia – The Spokane Indians continued down their bumpy road Saturday night. The Vancouver Canadians used a five-run fourth inning to cruise past the Indians 7-3 in Northwest League baseball at Nat Bailey Stadium. The Indians (8-15) fell to 0-9 this season on the road. Vancouver’s big fourth inning included four hits, two walks, a wild pitch and an error. Jesus Severino, whose solo homer to left-center gave the Canadians (11-12) a 1-0 lead in the second, doubled home two runs and scored on Mc Gregory Contreras’ triple. Indians starter Ryan Dease (2-2) allowed eight hits and five earned runs in 3 1/3 innings. Trailing 7-0, the Indians struck for two runs in the fifth. Francisco Ventura singled home Jonah McReynolds and scored on Juan Ventura’s double. Francisco Ventura also doubled to lead off the seventh and scored on a two-out throwing error. The setback was the Indians’ eighth in the last 10 games. The Indians will play two more games in Vancouver, take Tuesday off and return home Wednesday to begin a five-game series against Eugene. Spokane and Vancouver have split four games this season. Published: July 7, 2018, 10:15 p.m. Updated: July 7, 2018, 10:54 p.m.